Arranged by Mark Hayes. Shawnee Press. Christmas Secular, Holiday, Winter. Octavo. 16 pages. Shawnee Press #A2249. Published by Shawnee Press (HL.35026021). 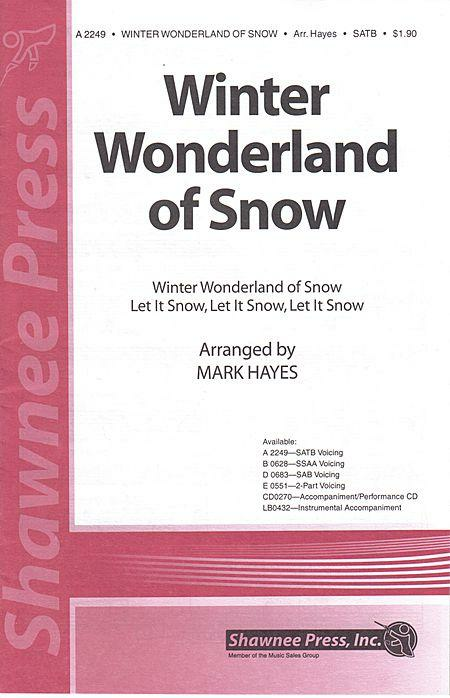 What do you get when you give Mark Hayes two favorite winter songs to arrange? 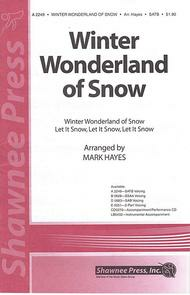 You get this incredible work of “Winter Wonderland” and “Let It Snow” together in one arrangement! The orchestration is spectacular as only Mark can do. Smart vocal lines that sing with the greatest of ease help make this a must-have choral for your holiday or winter program.